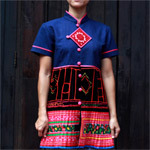 Tae Thongsri designs and crafts this one-of-a-kind cotton tunic. 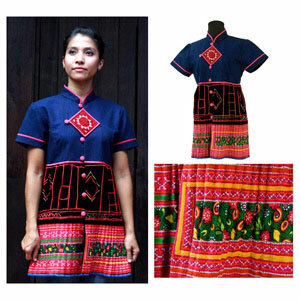 The diamond on the chest and the lower part is embroidered, stitched and printed by the ethnic minority women of northern Thailand. 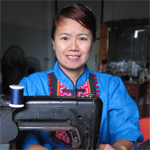 This women's top is handcrafted of quality cotton.